Chlorella is a single-celled fresh-water, microscopic green algae, which provides a very well-balanced package of essential nutrients. 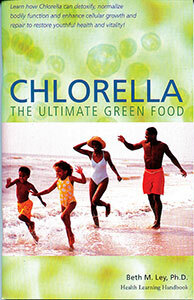 Along with its rich stores of complete protein, Chlorella also provides essential fatty acids, carbohydrates, minerals, vitamins, enzymes, chlorophyll, RNA/DNA, antioxidants, special fiber and its own unique Chlorella Growth Factor (CGF). Working to maintain bodily health, prevent disease, and enhance recuperation, Chlorella can be thought of as a complete health supplement. It is truly the ultimate green food. Chlorella is so complete that we could survive on it alone for an extended period of time and in fact, NASA researchers have investigated this very possibility for astronauts in space travel.